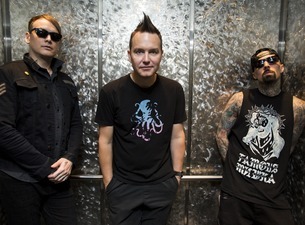 DARIEN -- If you're looking for reserve seats for Wednesday's Blink 182 concert at Darien Lake, there's still plenty to be had. Starting at $30 in the 500 section, all the way up to $534 in the front row (for a resale ticket), there's a surprising number of seats still available from the venue itself. The 7 p.m. show starts with A Day To Remember and All Time Low before Blink 182 takes the stage. Image courtesy Ticketmaster.com. Video courtesy Vevo.